Create your signature wedding drink and let everyone enjoy the customized refreshment by having "mocktails" instead! 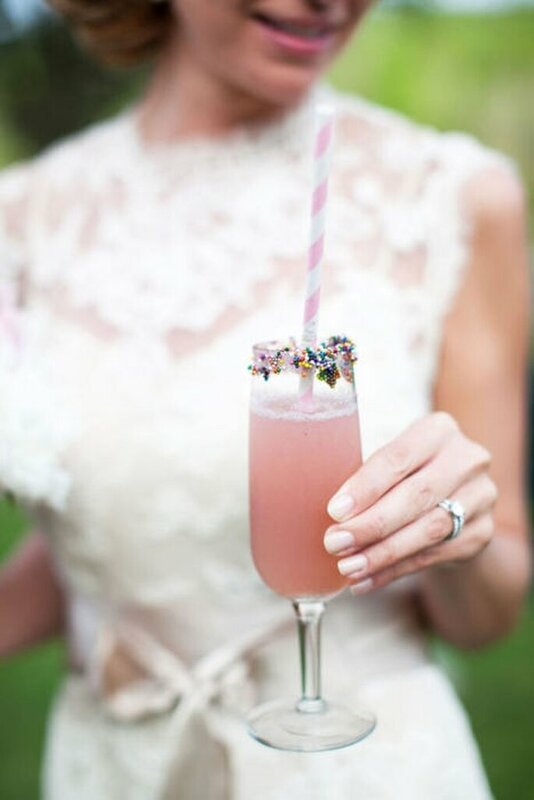 A signature wedding cocktail at a wedding reception is a staple now, a fun way for the newlyweds to show off their personalities to their guests through delicious, classic drinks. 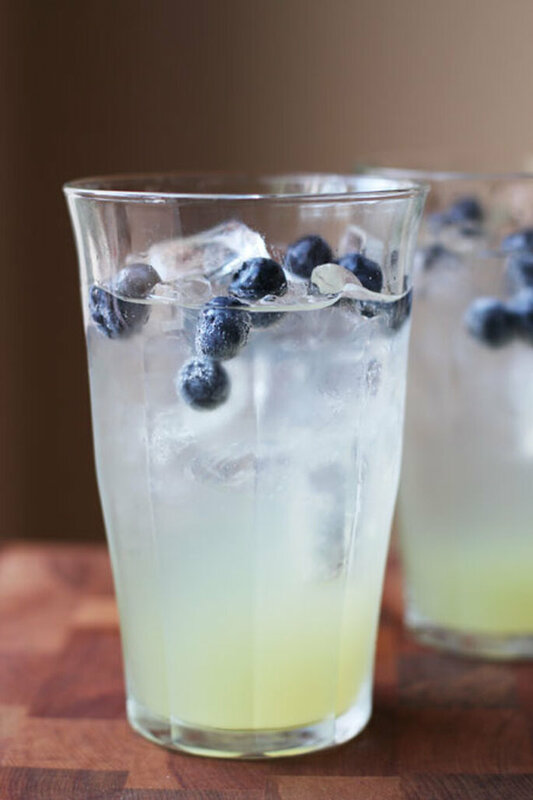 Accommodate everyone, drinkers and non-drinkers alike, by serving these refreshing wedding “mocktails” at your soiree. The signature wedding drinks are a popular necessity to couples now, perfecting their libations with the help of mixologists and bartenders the world over and coming up with sweet names to round it off. The temperatures are on the rise and cool food and drink ideas are in order. Allow everyone to join in on the fun and to partake in the excitement by preparing a separate drink menu of “mocktails”, or cocktails sans alcohol. This is perfect for those who aren’t alcohol drinkers or if you would like to eliminate alcoholic beverages completely. Get creative, as there are countless ways and recipes to make your signature wedding mocktails. We were eying a few recipes; so get your imagination started with our favorite mocktails! Add ice cubes to double old-fashioned glass. Fill glass with ginger beer half way, then add the orange juice and lime juice with the splash of water. Stir and serve. Garnish accordingly. Serves one. Chill all berries and liquid before beginning. Muddle half the amount of berries along with some mint leaves. 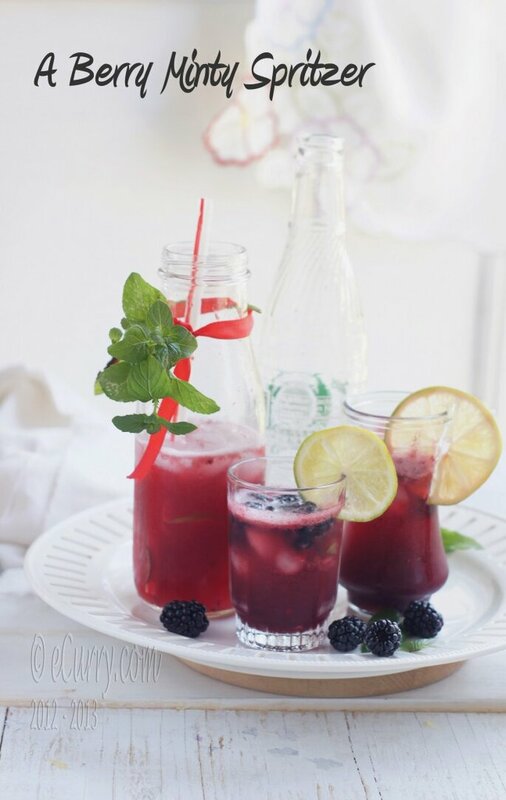 Combine cranberry juice, honey or agave nectar, and half the berries with some mint leaves and blend it. Divide the muddled berries and mint in glasses. Add ice, if desired. Divide and pour the blended juice and berries into glasses, then top off with soda. Add slices of lime or lemon and mint. Serve cold. Serves three. 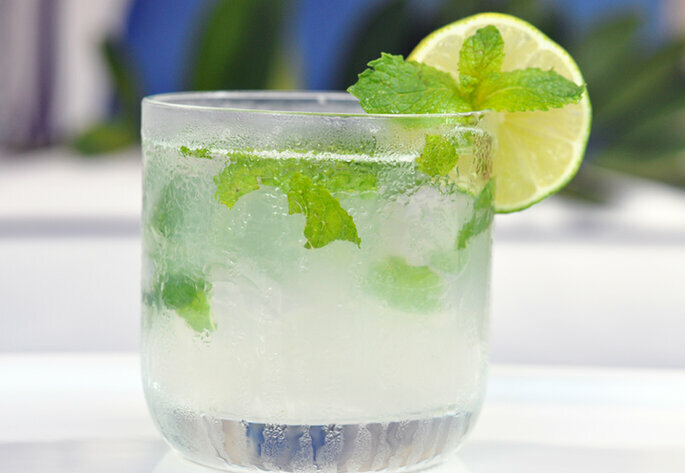 Combine sugar, lime juice, and mint leaves in cocktail shaker. Muddle mint and add about eight ice cubes and shake well. Pour mixture in glasses and top with club soda. Serves two. To make the rosemary simple syrup, place sugar and water in a small pot and simmer until the sugar dissolves. Stir occasionally. Stir in rosemary, remove from heat, cover, and allow mixture to steep together for 1-2 hours. Discard rosemary sprigs and chill simple syrup in the refrigerator until ready to use. Fill four glasses with ice. 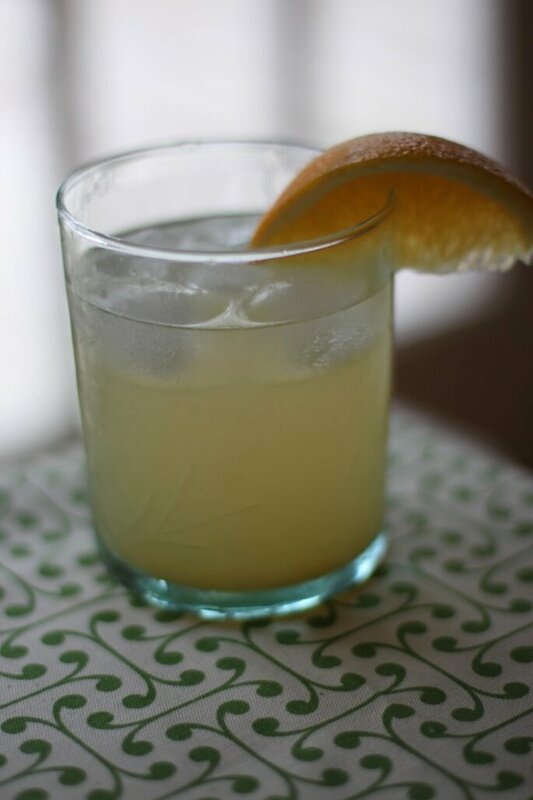 Pour two tablespoons of rosemary simple syrup into each glass and top with 1/4 cup of tangerine juice. Add 1/3 cup of cranberry juice into each glass and stir. 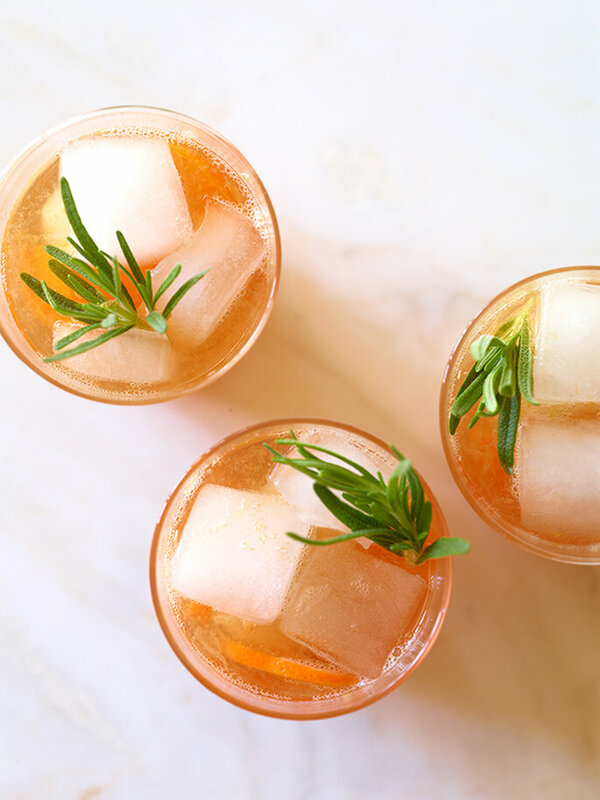 Finish each mocktail with cream soda and garnish with sprig of rosemary. Serves four. Fill a cocktail shaker with ice and mix in fresh lime juice and pineapple juice. Add the white grape juice, mint, and blueberries into the shaker and shake well. Strain into a large glass filled with ice and top with the soda. Garnish with blueberries. Serves one. The attention to detail with creating signature wedding drinks will astound your guests. If you’re still needing some inspiration, think of your favorite cocktail and modify it without alcohol. Our rule of thumb: keep it delicious! What are some classic cocktails could be changed into “mocktails”? Looking to have a wedding cake that is both delicious and photo worthy? Then look no further! Discover the best wedding cake designers in Chicago that will create both a beautiful and a tasty wedding cake! Patty-cake, patty-cake, baker's man, bake me a cake as high as you can! Here are our expert tips on how to make sure your guests remember your wedding cake. Don't miss out! Drip Cake: The Wedding Cake that is Taking Over 2017! If you still don't know about Drip Cakes, then what are you waiting for? Culinary marvel and visual delights, drip cakes are surging forward in the wedding cake industry so make sure to have one at your wedding! Learn a bit more about the trend of having a trio of wedding cakes on your big day!